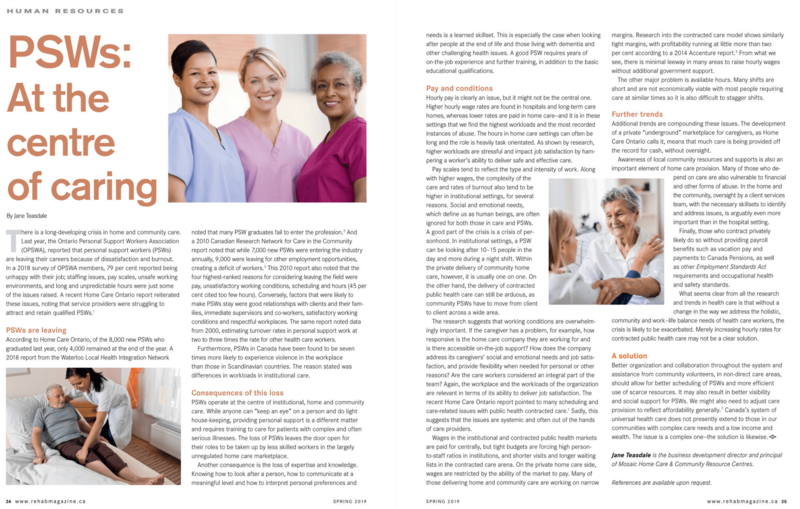 Mosaic Homecare Featured In Post Village & Mid-Town Post Magazine October 2018. 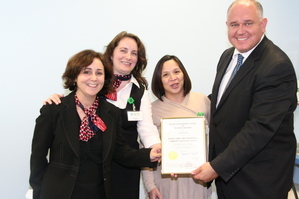 Memory & Company is the first of its kind: a memory health club. With their massive facility, knowledgeable and well trained staff and the vision and passion of owners Victor and Ashley Kwong have created an amazing get-away for people with memory problems, their caregivers or anyone who needs time off! 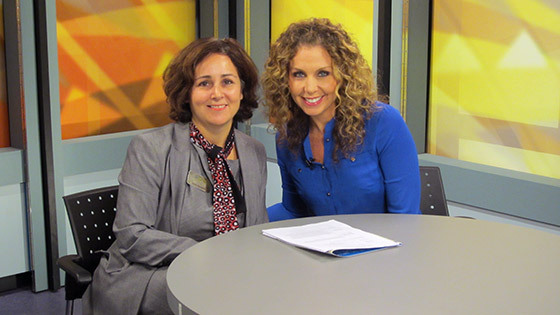 Jane dropped by Rogers TV York Region to talk to Shay Galor about Mosaic Home Care Services including our services, events and our Community Resource Centres. Be on the lookout for Jane on “Your Week With Shay” to learn about the wonderful things Mosaic is up to! Rogers TV York Region came to Mosaic’s Community Resource Centre at the Shops on Steeles to interview Jane and Kevin on Mosaic and upcoming events. Mosaic was excited to have Rogers come into our Resource Centre to film on location “Your Week with Shay”. 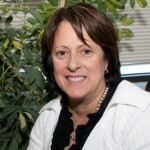 Shay interviewed Jane on the background of Mosaic, the unique services we provide and on person centered care. 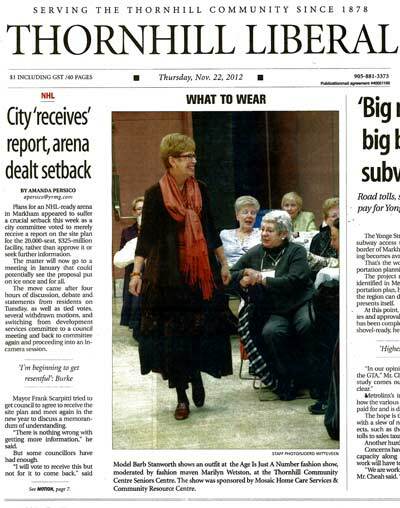 This was followed up by an interview with Kevin on Mosaic upcoming events including the First Link Memory Café. We look forward to seeing the segment on Rogers TV York Region! Audrey Miller of Elder Caring Inc. presents for an event hosted by the Parkinson’s Society that was supported by Mosaic Home Care Services. Panelists, along with Audrey Miller, address topics on geriatric care, financial planning and legal matters so that informed decisions can be made about the future. 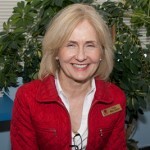 Jane Teasdale – Discussing the events slated for September 2014 at Mosaic – First Link® Memory Café at Mosaic organized by the Alzheimer Society of York Region and hosted at Mosaic Resource Centre Steeles location. Discussing the launch on October 23rd from 5:00 p.m. to 7:00 p.m. and opening of our second location at CNIB Centre in Toronto 1929 Bayview Avenue. 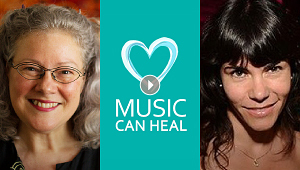 With Ann-Marie Bourdreau and Talia Woolridge from Music Can Heal Explaining how music can energize us and bring us to a deeper place of balance and harmony. A visit to the Royal Ontario Museum to experience the Middle Ages with Mosaic Staff! 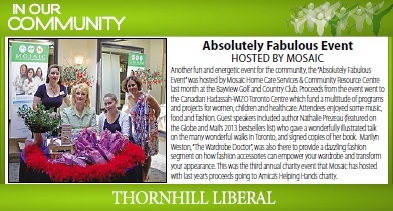 Mosaic Home Care and Community Resource Centre held a wonderful event for women last month. It was an afternoon of fabulous food, jewellery, fashion, makeup, skin care, art and much more! There were door prizes, and booths set up by Entertainment by 2B1, Judy’s Fine Foods/Jolie/Art Innovations, the author of Urban Strolls for Girlfriends, Red Coats, Vaughan Community Health, Sheridan College students offering free makeup application, Hatley Boutique, Seodin Canada, York Family Chiropractic, Amica at Bayview and Epiciti. To find out about more lovely events held by Mosaic, check the SNAP event calendar. Mosaic Home Care and Community Resource Centre hosted an informative session on Container Gardening with Ian McCallum from Woodhill Garden Centre. Ian explained and demonstrated container gardening and its many functions and uses for any type of home. For information about the many upcoming events at Mosaic Home Care & Community Resource Centre, check the SNAP calendar. 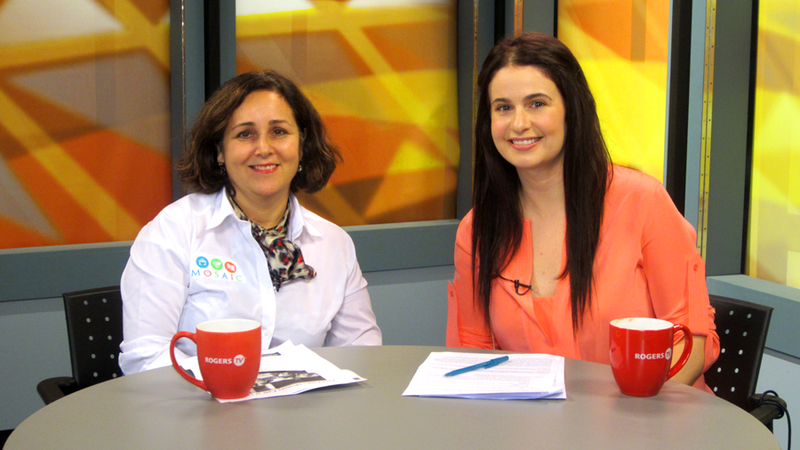 Nathalie Anderson of Mosaic Home Care & Community Resource Centre and Kimberly Davies of Amica at Bayview appeared on Day Time Rogers on June 29th, 2012 to promote the Amica Helping Hands Golf Tournament. 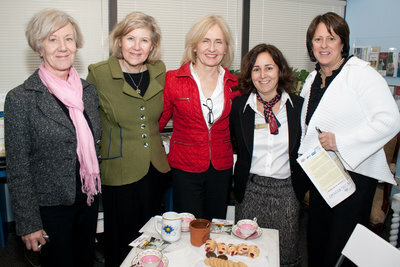 Mosaic Home Care & Community Resource Centre hosted the movie Vision of Italy on January 8th. Mosaic’s staff, patients and families were given the opportunity to enjoy the wonders of the great cities of Italy from the comfort of their seats. The movie featured an aerial view of the grand tour of Rome, Saint Peter’s Square, the Coliseum, Florence, Naples, Capri and more. 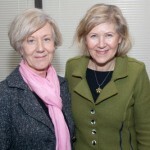 The event was free and refreshments were provided for the guests to partake in during and after the movie. Mosaic is a home care program which provides non-medical services and support and allows patients to continue to live in their own homes. In addition, Mosaic also helps new and expectant mothers, veterans, and those needing short term care after surgery. Thornhill Seniors celebrated the Christmas season early and in style as they enjoyed a turkey dinner with all the trimmings. They were entertained in the Christmas tradition of sing-a-long by Barry and Tony. 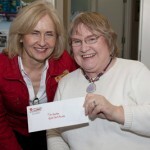 There were numerous door prizes presented through the kindness of sponsors. Happy Holidays all! 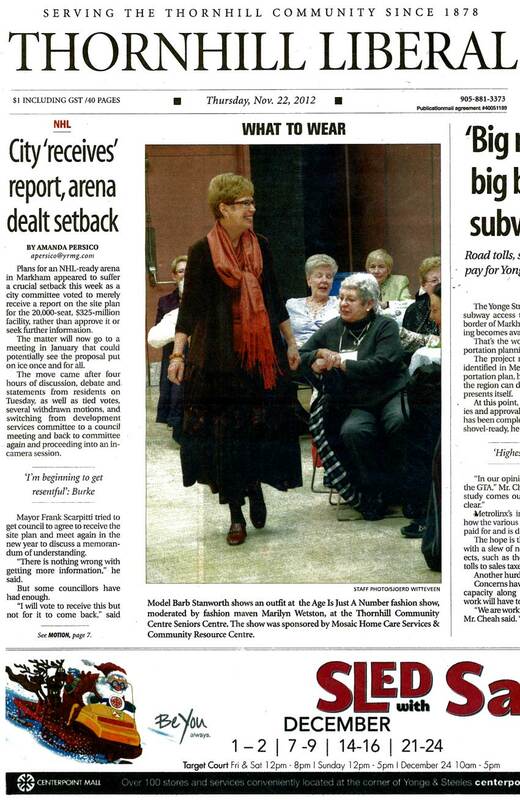 Mosaic, a new home care service and community resource centre , held their grand opening/open house October 7th. We have a concern with this article. It stated: The women admit while government run and non-profit home care organizations are their competition, by no means is Mosaic against the idea of individuals seeking those options. We would like to make clear that we are not in competition with Community Care Access Centre, which provides wonderful support for people in the community. As a private home care company, the care we provide complements, but is over and above, that provided by CCAC, which is government funded and free. Private home care companies should always make sure that their clients have contacted CCAC and secure the care they are entitled to from the government before making service contracts. We are a community focused home care company and believe in the importance of for-profit and not-for-profit companies working together for the benefit of the community. 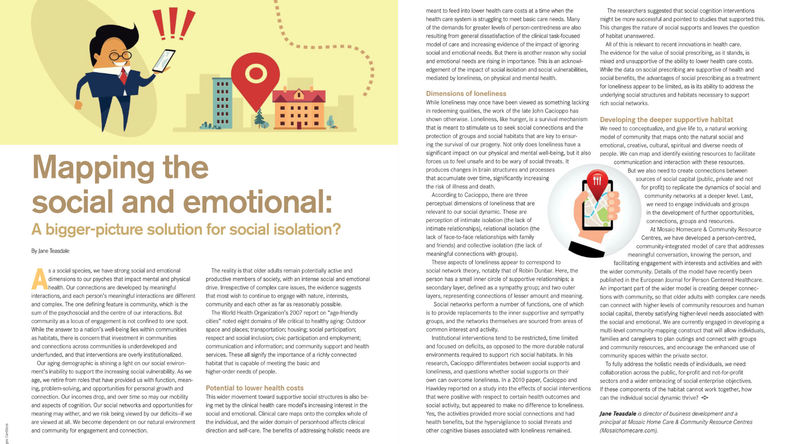 Caring for the elderly is going to become more and more important as demographics change and together we will need to find innovative ways of increasing the availability of care by bringing all elements of the community together. The essence of our community resource centre is to help inform the public about all the options available, which means informing them of the many not-for-profit organizations, as well as necessary for-profit companies that can be of help. Non-profit agencies are very valuable resources for those in need of care. 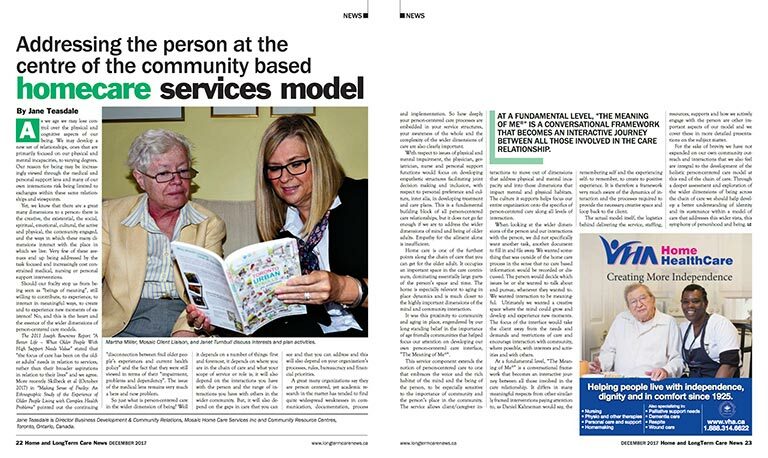 Over the years, we are well aware that The Liberal has been active in promoting home and elder care education and in raising awareness of this important issue, and we would like to extend our support to the very important service the paper has given and continues to give to the community. 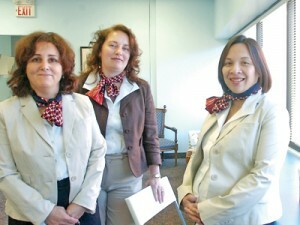 They are three women who say they are striving to put the heart back into the home care industry. Within their one business, they hope to help and link many. 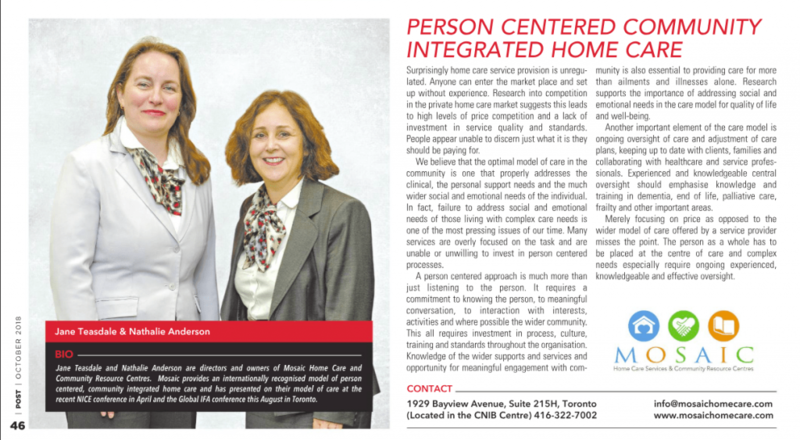 Their company is called Mosaic Home Care Service&Community Resource Centre and true to their approach in establishing a comfortable space and one-stop resource option for southern York Region, Jane Teasdale, Mercedes Santos and Nathalie Anderson are Mosaic’s three personable pieces. 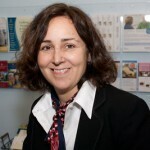 “We want this to be a place where someone can sit, have a coffee and speak to us about linking them with a care giver or information in a necessary care area,” remarked Ms Teasdale, Mosaic’s business development representative, explaining the daily happenings soon to begin at their new offices within the Shops on Steeles Plaza. 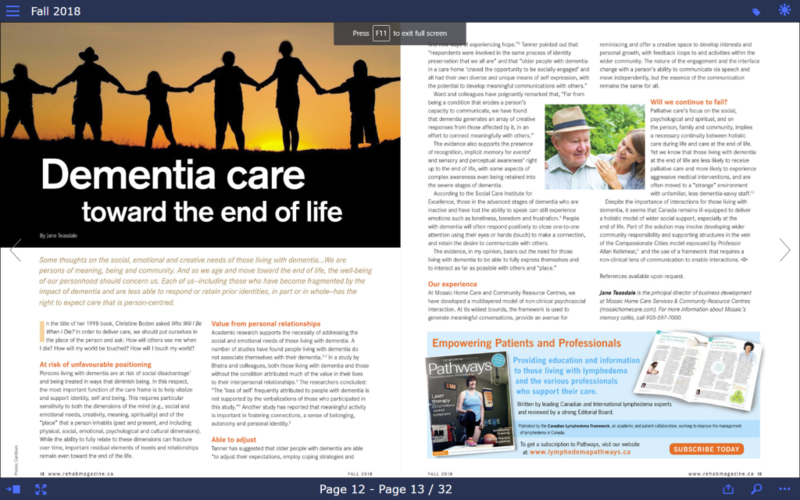 “Our focus is on providing home care, but we are also here to provide information or support in other areas. 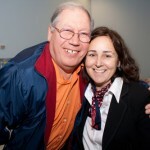 Anything from anxiety and Alzheimer’s to senior travel tips,” added Ms Teasdale, mentioning that currently Mosaic has links to 150 different care organizations in the area, while also offering their own trained care givers and support. A private enterprise, the women admit while government run and non-profit home care organizations are their competition, by no means is Mosaic against the idea of individuals seeking those options. They encourage individuals to use the provincially-run Community Care Access Centre as a first stop resource. Simply put, the trio are confident there is enough of a demand to go around, while also being able to offer other services and a level of care some may not find via the government. 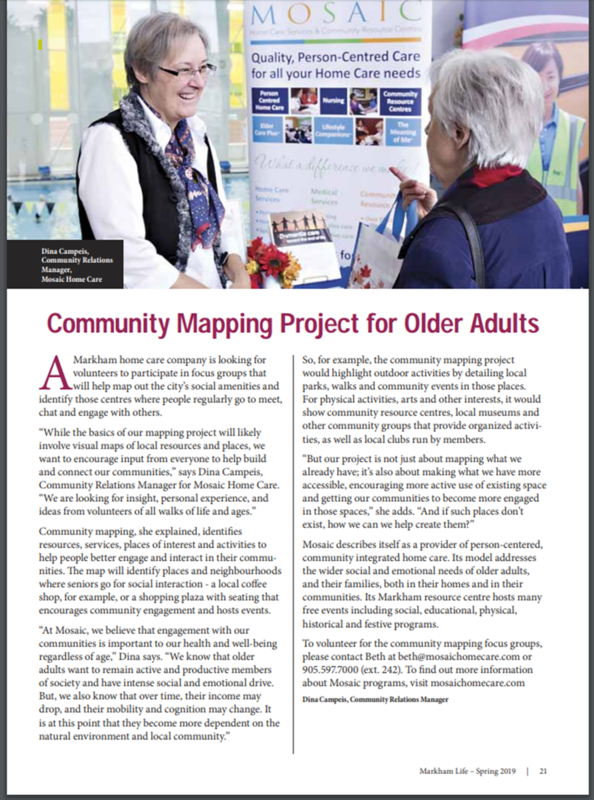 “Such is the number of people reaching the age where they may need daily care, companies like us and the government are going to have to begin working together so we can handle the aging population,” said Ms Anderson, Mosaic director of operations. “Also, based on my own previous experience, government agencies will often only refer you to other non-profit organizations. Because of this, that individual may be missing out on an a private organization providing the care they need,” she added. 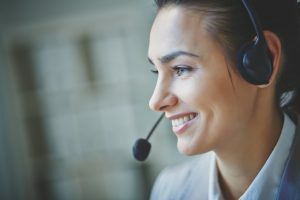 While actual home services will come along with an hourly rate; dropping by for a chat, coffee, attaining information from one of the ladies or guest speaker regarding a certain topic, is all free of charge. “After hearing about and seeing for yourself the plight of those who are most vulnerable, you feel more determined to give these wonderful souls the best help that you can provide,” said Ms Santos, a Thornhill resident and Mosaic human resources and client service representative. “Fact is, I think we need more places like this and if we can be successful and visible in the community, hopefully it can lead to others receiving that care that they require,” she added. Fully embracing their position in the southern York Region community, services offered through Mosaic will be offered in a variety of languages, including French, Mandarin, Cantonese, Italian and Farsi. If you are curious about Mosaic’s services, the women will be staging an Alzheimer’s Society coffee break in the centre court of Shops on Steeles Thursday. Sept. 16, from 11 a.m. to 3 p.m.
Mosaic’s offices officially open Monday, Sept. 20. Office hours Monday to Friday will be 9 a.m. to 5 p.m. and Saturday from 10 a.m. to 2 p.m.
Mosaic Home Care & Community Resource Centre recently hosted the Alzheimer Coffee Break event at the Shops on Steeles & 404. With refreshments and valuable information about Alzheimer’s provided by the group, those in attendance were able to enjoy learning from representatives at Mosaic. 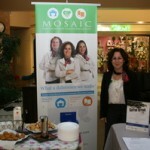 Mosaic Home Care is a new company in the community providing homecare and a community resource centre in Thornhill. 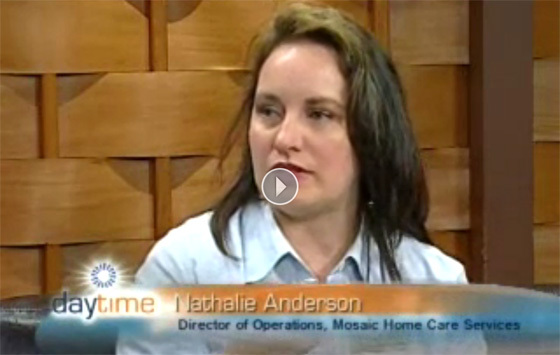 According to their website, “our three principals, Jane Teasdale, Nathalie Anderson, Mercedes Santos have many years of experience in the home care industry, and have come together to bring a new level of passion to helping you or a loved one enjoy the best life possible within your own home environment and your community.” Visit https://www.mosaichomecare.com for more information. 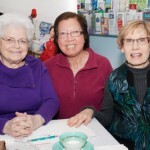 Their company is called Mosaic Home Care Service & Community Resource Centre and true to their approach in establishing a comfortable space and one-stop resource option for southern York Region, Jane Teasdale, Mercedes Santos and Nathalie Anderson are Mosaic’s three personable pieces. If you are curious about Mosaic’s services, the women will be staging an Alzheimer’s Society coffee break in the centre court of Shops on Steeles Thursday, Sept. 16, from 11 a.m. to 3 p.m.
Mosaic Home Care & Community Resource Centre recently invited members of the community to their 2900 Steeles Avenue East, Suite 218 location in the Shops on Steeles and 404 for a spot of tea…Brit-style! 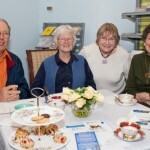 The British High Tea at Mosaic gave those in attendance the opportunity to get acquainted with the atmosphere in their resource centre and learn a bit about what was in their cups. 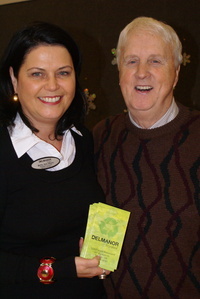 A presentation outlining the history of tea, as well as, information regarding Mosaic’s services also took place. Mosaic provides non-medical services in the Greater Toronto Area, including York Region, to enhance the lives of those in the community. 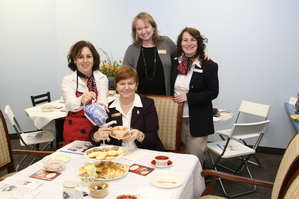 If you missed the High Tea, visit them online at www.mosaichomecare.com for more information on the services their team provides to people of all ages.